Tracy Powers has been named executive director of the Indiana State University Career Center. 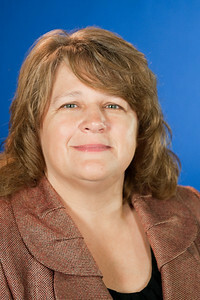 Prior to coming to Indiana State, she served as team leader for communications for the South Carolina Enterprise Information System (SAP) and formerly served as the director of employer relations and associate director of the Career Center at the University of South Carolina. The Indiana State opportunity is a sort of homecoming for Powers, who worked in career services at the University of Evansville and University of Southern Indiana before moving out-of-state. Aside from returning to her roots, Indiana State was a perfect fit, Powers said. "The campus is the ideal size for working directly with students and for working collaboratively with academic and administrative partners," she said. "The clear focus on university and community progress and partnerships was also very appealing. Our potential for success is so much greater when we all work together toward common goals." Powers is a firm believer in the roles of technology and outreach to deliver career services to a wide audience - students, alumni and employers. "Those have been two areas of focus throughout my career in the profession," she said. "Indiana State is a campus that seems to understand the importance of pulling our resources together for the common good. Development, alumni, the academic areas, and many others, have been very welcoming and interested in our future work together which is promising for outreach initiatives." The center is already heavily involved in outreach and Powers plans to expand those efforts and utilize new technologies to solidify relationships with employers. "Our campus and community partners can expect to see the implementation of new technologies that will provide greater access to information and 24/7 tools that will help meet their needs," she said. "I think there will also be a noticeable difference in the Career Center presence on and off campus." "Tracy brings a wealth of experience and knowledge with her to the Career Center," said Nancy Rogers, associate vice president for community engagement and experiential learning. "Under her leadership, we are looking forward to expanding our relationships with employers and alumni and intensifying the delivery of state of the art career development programs and services to students." In addition to her higher education experience, Powers worked as an educator in Evansville and Elizabethtown, Ky. as well as a payroll service bureau manager. She earned a master of science in counseling from the University of Evansville in 1999. She also holds a bachelor's degree in elementary education from the University of Southern Indiana.